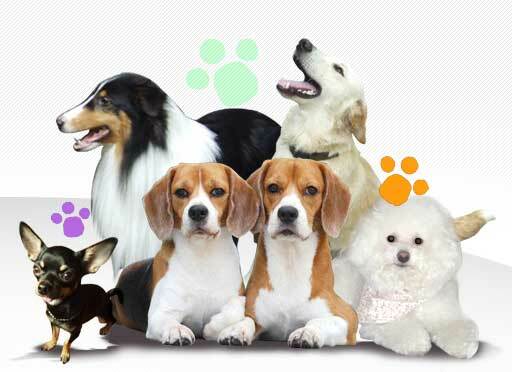 We are sure that your pets freedom and safety are of paramount importance to you. Recently been a direct link has been made between the ban on electronic shock collars (e-collars) and attacks on livestock. In the UK farmers businesses and animals are suffering. Farmers want tougher penalties to be enforced, under the Dangerous Dogs Act. £3.5 million worth of livestock has been subjected to attacks within the past 3 years. This is in other words a shocking 113% rise. New research shows above all dog owners are putting their pets on leads when there is nearby livestock. However, insurers show increasing concerns of reports that attacks happen for instance by dogs, let out in gardens, escape and attack the sheep in neighbouring fields. 45% of owners admit to leaving their pet at home each day. 28% of dogs left for over 4 hours. 13% of dog owners say their pet has separation anxiety. Research suggests this is much higher at a whopping 85%. Bored or anxious dogs will escape if they can. £1 million in sheep and livestock, savaged by dogs over the past 4 years in Wales. In England this tots up to £3.5 million in the past 3 years. Pet owners fined up to £1000 in court. There is great uproar and calls by farmers for the Dangerous Dogs Act to further increase these penalties. Correlation made between these attacks and the ban of illegal electric shock collars. Dog Fence Ltd has worked closely with authorities for public consultation and our system is approved as Legal, you can read more here that Dog Fences Are Not Banned for further clarification. Farmers relieved that dog fences (aka containment fences) are exempt from the proposed e-collar ban. Dog fences have been around for over 40 years. Modern systems achieve criticism without understanding the mechanics and function of an invisible pet containment fence system. With Dog’s & Cats accounting for 16% of reported animal deaths on major roads in the UK over the past 24 months. It is more important than ever to keep your pets safe at home. The Government has announced that they will implement new regulations into the installation of dog fences. Regulations state how dog fences and cat fences will be correctly installed and owners receive correct training. DEFRA consulted with DogFence Ltd as our Company pioneered the full installation and training service to the UK. Since 2003 DogFence Ltd have been offering full installation with training for their pets to the dog fence or cat fence systems. Get in contact with our team to discuss your needs to prevent yourself from a huge fine, other livestock from potentially getting injured or killed and to keep your pet safely contained with a safe and UK legal dog fence system. Electric dog fence – the myths and the truth! What is an electric dog fence? Electric dog fences have recently made the news. Just like Marmite, they are a contentious issue; people are either strongly for or violently against these systems. Actually, there is no such thing as an electric dog fence. The correct name for a dog fence is a radio dog fence. A dog fence does not have any electricity in the cable and is physically incapable of electrocuting a dog or a cat. Of course, we all know that electric fence is a system used to keep livestock within an area. This type of fencing does have electricity running through the wire or net and is able to deliver an electric shock. With a dog fence, the boundary wire carries a harmless radio signal. The dog or cat wears a computer collar which is programmed to pick up the radio signal. The size of the radio field can be altered to the size or breed of the pet. When the pet enters the radio signal zone the collar wakes up and gives out a high pitched warning beep. Should the pet continues further into the zone the collar gives out a static impulse; not an electrical shock. The impulse is similar to a Tens machine or abdominal exercise machine and is completely safe and harmless. The impulse is called a “correction” as it is designed to startle the pet and train them to avoid the area. The label “electric dog fence” is usually given as people assume that an electric shock is delivered when nothing could be further from the truth! An Electric Fence is an electrical circuit that is charged by an electric fence energizer. A high voltage current is sent through the wire, tape or netting. The charge is sent through the fence in 1-2 second intervals. The fence acts as an open circuit. This becomes complete when an animal or person standing on the ground touches it. If an animal touches the wire the circuit closes and the current passes through the animal to deliver an electric shock. Interestingly, recent research has proved that dog fences are far from cruel, in fact, it has been proved that they save lives. Research carried out via the UK Government in conjunction with containment fence Companies and also a privately funded study through Lincoln University has proved that containment fences save lives. 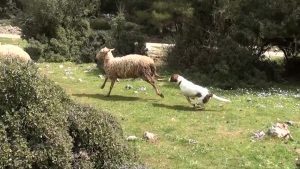 Rising dog attacks on sheep also highlight the welfare issue that stray dogs can cause to other livestock. 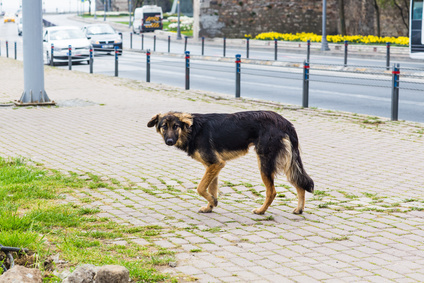 Stray dogs can kill sheep, cats and cause RTA’s. Farmers in many areas support the use of “electric dog fences” to keep their own stock safe. In Scotland, the increasing dog attacks on sheep has led to a public consultation regarding changing the law through a Protection of Livestock bill. Whilst the #takethelead campaign is a good starting point. Many dog attacks on livestock are from dogs that have escaped from the property. Similarly, leads can break and collars can be incorrectly fitted so training your dog not to chase sheep is a must. Far from being cruel dog fences save lives. Much better a small static impulse and some training than the bullet of a gun or being PTS by on a court order. Can you use an electric fence for pets? There is no law banning the use of electric fencing for dogs or cats. Whilst the voltage on these systems is very high no testing has been carried out to determine the long effects. There are certain safety features found within “electric dog fences” that are not found in electric stock fences. Electric fence – will continue to shock until the pet is released. Electric Fence – high levels of shock may not be good for pets. Sadly the media and social media groups have given dog fences a bad name. Both research and those that use these fences prove that these systems save pets lives. The label electric dog fence naturally conjures up the idea of a dog being electrocuted or wired up to the electricity. Nothing could be further from the truth. We all accept that sometimes we have to deliver a small amount of discomfort to save a life. We vaccinate our pets and we microchip pet, both of which cause moderate discomfort. Yet we hear the cries of cruel and barbaric when we discuss dog fences. Is this because people do not understand how they work or how they feel? These blogs are designed to be open and honest about how the systems work and if you would like to learn more please call us on 03450 623623 or visit our web site https://dogfence.co.uk/. Can dogs run out of an invisible dog fence? When looking into purchasing an invisible dog fence one of the most commons concerns is will it work? Can the dog run out of the containment fence? Of course, just a like an ordinary fence if the fence is broken or poorly installed it won’t work. So as with any product, an invisible dog fence needs to be correctly installed but more importantly, both the dog and owner need to know how to use it. If the fence is correctly fitted and both the pet and owner are trained then a “dog out” will rarely happen. In fact, at DogFence we are so confident we even offer a containment promise on our fully installed dog fences. So what are the reasons that a dog may outrun a dog fence system? Unlike other brands of containment fences, our Invisible Dog Fences have a long battery life. However, it is still important to check the battery using the tester every 6 months on our mini collars or 18 months on our larger collars. Consistency is the key to the successful use of an invisible dog fence. If the battery runs out the dog can run out. As a rule, we find that 60% of our troubleshooting is down to a dead battery. Using an invisible dog fence is similar to using your car, it requires fuel to operate and needs topping up and checking once in a while. As with all brands of containment fence, collar fit is crucial. If the collar is dangling around the dog’s neck like a necklace then it will be completely ineffective! Whilst it is true that once trained 90% of dogs will never receive a collar stimulation again the impulse may need to be activated if the dog is in a high drive moment. If the dog enters the zone and carries onto in the avoidance area with no consequence he or she will quickly learn to challenge the fence. A loose collar = a dog on the lose. We always advise checking the collar fit regularly – your pet may lose or gain weight so checking the collar monthly is extremely important. Our handy troubleshooting guide shows how to test the battery and check the collar fit. As with anything in life you only get out what you put in! When it comes to containment fencing Training is the keyword. If your pet is not correctly trained to use the fence then it will not work for you or your pet. DogFence is the only UK Company to offer full onsite training within the package. In 2018 the UK Government announced that they would introduce new legislation to ensure that all dog fences are sold with an installation package. At present, the legislation is still pending. It is hoped that through this legislation there will be a standardized certification program. As a small part of our customer base chose to self-install a DIY Dog Fence we offer full support. Naturally, unlike a total mail order Company, our years in the field mean that we can offer expert guidance and support to those who chose to self-install. All invisible dog fences should be sold with flags – at DogFence we use a min of 20 per 100m. The collar should be set to audible only and the pet should be introduced to the training flags. It is with warming beep that will stop the pet in a red mist or high drive moment. The pet must be on a lead through phases 1 – 3 at all times. This is part of the training where the correct impulse level is determined for each pet. It is important to start on the lowest possible level and look for any signs of recognition/reaction to the impulse. This could be as subtle as a flick of the ear of a small flinch. All good containment fence collars should have flexible training levels. Once the pet is avoiding the training flags it will be necessary to create some distractions. These can be getting a game going with the pet, having someone else walk through the flags or bringing another dog to the property. Our DogFence Installers will usually involve the customer as part of the distraction and it’s a great way for the owner to really get involved. Once the pet fully understands the containment fence it is important that he or she associates it with the property and not the installer. The installer will leave full written instructions on how to carry on and when to allow the dog off the lead (cat training is carried out internally). Once trained the pet has complete freedom and the owner has peace of mind. 4. Faulty equipment – Not all Containment Fences are the same! Dogs will be dogs and the invisible dog fence collar goes through a lot of wear and tear. Many brands of containment fences are Chinese made and the quality is poor. Our invisible dog fences are high-quality but even these can go wrong. Recognizing that consistency is king DogFence offer a Lifetime Warranty on our professionally installed fences. The warranty covers both the transmitter and the computer collars. And because dogs will be dogs we add in a warranty to cover dog chews on the computer collar as well! As with a car, it is important to check things are working. Our Installers will show you how to carry out the simple monthly checks using the testing tool. Using the correct battery is extremely important. A good quality containment fence collar should alert when a battery is required. At DogFence we recognize that people are busy so we also offer an automatic battery renewal programme. Escaping dogs will always be a problem as they can cause road accidents, kill or harm livestock or wildlife. Using a containment fence is an excellent way of giving the pet freedom but keeping them safe at home. Not all containment fences are the same and not all containment fence suppliers offer the same level of service. If you would like to receive some professional advice and information call us on 03450 623623. When you got your dog, the chances are you had visualised many things, did you consider fencing and freedom? Most likely you thought about things such as running with them around the park, taking them out for long walks, cuddling them on the sofa and playing with them in the garden? If you’d wanted a pet that stayed in one place, above all you would have bought a parrot. Now consider what you dog gets up to when not under your watchful eye or your dog is home alone. Never presume you dog will sit patiently waiting for your return. Dogs are curious and energetic and they love to explore. Caging them is not ideal, it is better to set boundaries and rules early on to allow you to give them freedom from being fenced in to one small area. Even when you do confine them to one room, you still need to ensure that space is safe. Dogs are intelligent animals and can suffer from boredom. If your dog is bored, and does not have enough to do, it will suffer or engage in inappropriate behaviour or simply be determined to escape and go exploring. 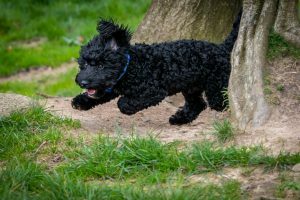 A dog needs regular exercise and regular opportunities to walk and to run free under proper supervision outside, but with the freedom our fence gives they can do so unsupervised in an open garden. 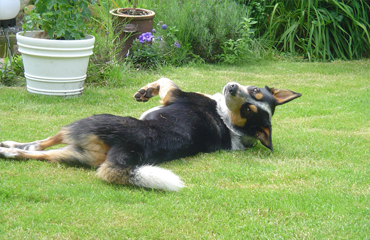 think about garden boundaries and keeping your pet safe and unable to escape. consider our certified legal wireless dog freedom fence system for both inside and outside your home/grounds. You don’t need physical fences and borders to keep your dog contained anymore. Our Dog Fence products work both indoor and outdoor. We can show you how effective a wireless pet containment system is when it comes to keeping your dog in one area and making sure they are safe at home. You can use an invisible fence system to block off certain parts of your home and to create safe spaces of freedom. You can do the same in the garden, which is exceptionally useful if you’ve got a large garden and want to create a safe play area, perhaps away from your garden furniture or plants fence freedom at its finest.